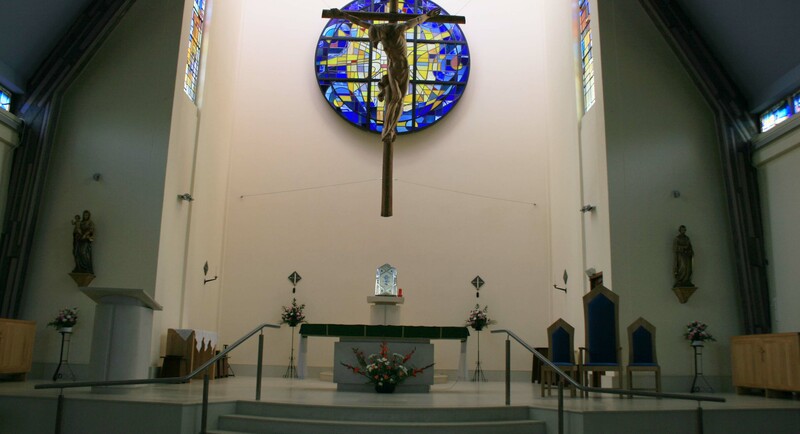 We were approached by the Diocese of Westminster to remodel parts of an unusual existing church interior, the scheme sought to create a new alter, font and tabernacle as the centre piece of the church that was complemented by new furniture and a suspended crucifix structure above. 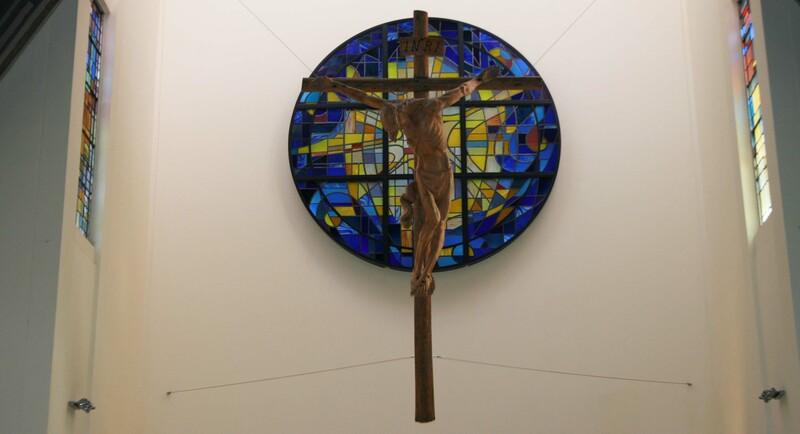 A backlit stained glass window, commissioned separately, was incorporated into the scheme behind the crucifix at the rear of the sanctuary. 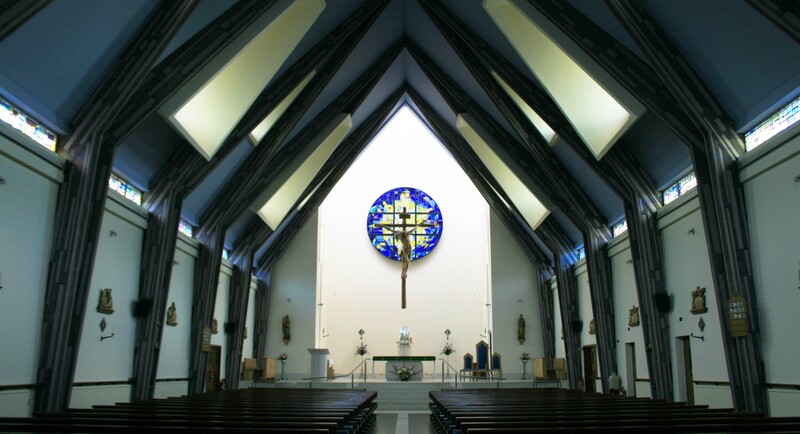 Redecoration of the existing walls along with careful consideration of colour choices for the distinct structural supports of the roof construction, were accompanied with new lighting throughout the main hall of the church. 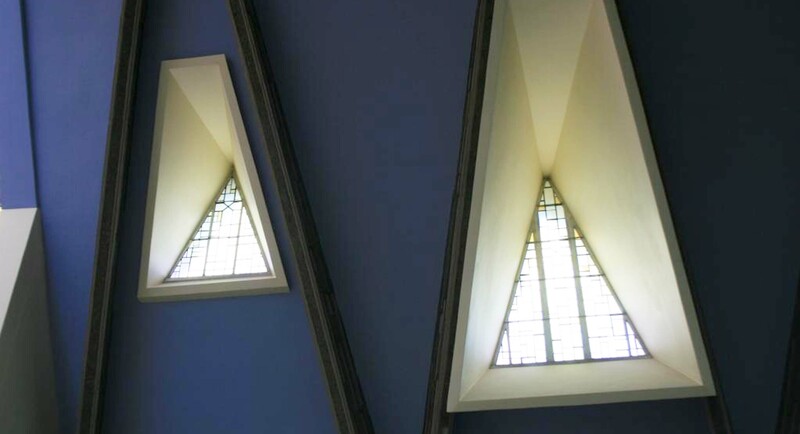 This introduced a flexibility in the lighting scheme and introduced much needed additional light to the otherwise dark church interior.